Maintaining stable concentrations of BOP fluids during drilling is crucial to ongoing consistent and successful operation of the in-service BOP fluid. The AMOF Fjell BOP-FMU is a complete BOP fluid mixing and handling system, designed to improve the quality of mixed fluid on board drilling rigs and to use any type of BOP fluid or volumes. The system operates via a flow control valve on the existing water inlet that provides a steady water flow to the mixing unit. 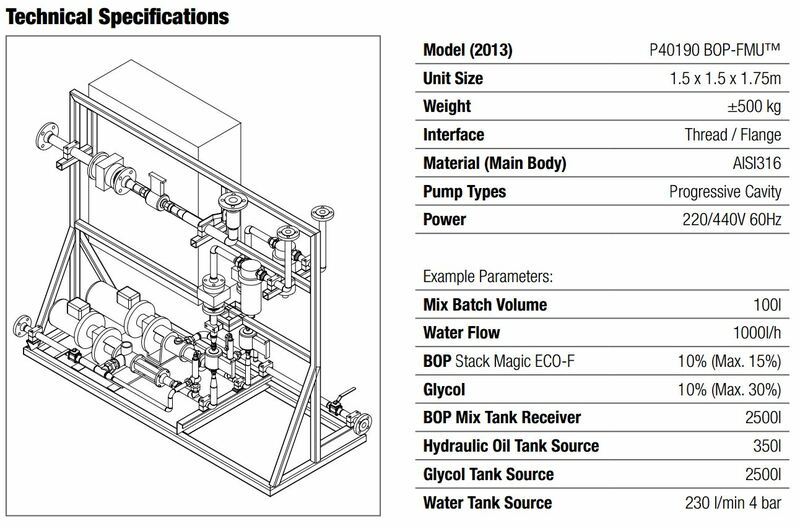 The BOP Fluid and Glycol sources are managed by water flow and two electrically operated progressive cavity pumps (fitted with proportional gearboxes). The fluids then enter the mix tank via an in-line mixing screw. 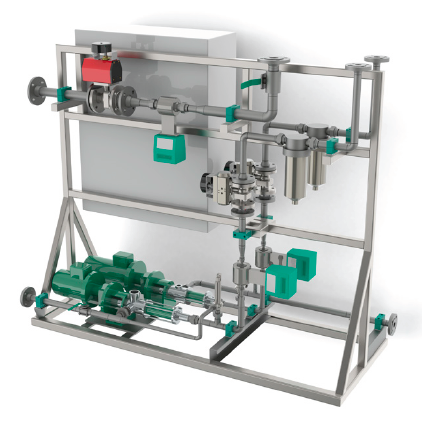 The AMOF Fjell BOP-FMU incorporates electronic flow meters which facilitate direct in-service monitoring and adjustment of BOP and Glycol concentration levels, using a control system with a graphical display. Each system can be tailored to rig specifications, to suit any potable water flow rates and available space.